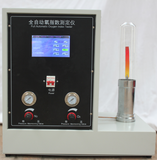 Melt flow rate meter is an instrument for measuring melt mass flow rate (MFR) of thermoplastic plastics in accordance with GB/T3682-2000 and ASTM D1238 standards and referring to similar standards such as JB/T5456 and ISO1133. 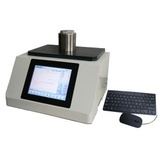 It is widely used to determine the melting index of thermoplastic plastics. The instrument implements the requirements of JB/T5456 standard and is applicable to GB/T3682, ASTM D1238, ISO1133 and other standards. 1, display mode: liquid crystal display. 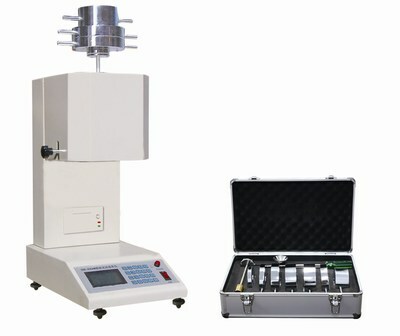 2, measurement method: Quality Law (MFR). 4, temperature accuracy: + 0.01 degrees Celsius. 5, temperature resolution: 0.01 C.
6, time range: 0.01 - 999 seconds. 7, timing accuracy: 0.01 seconds. 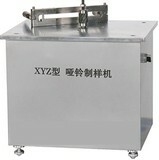 8, cutting mode: automatic, manual and time controlled three cutting modes. 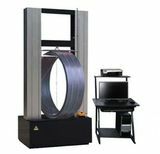 9, automatic calculation of fusion index, equipped with printers, printing test reports. 10, die material: tungsten carbide. 11, die diameter: 2.095 mm. 14 heating time: less than 10 minutes. The piston rod fine circular reference mark is 30 mm apart from 0.2 m m.
17 fine hole mold: tungsten carbide material. 18 it has over temperature protection function. When the temperature reaches the limit, it stops heating automatically.